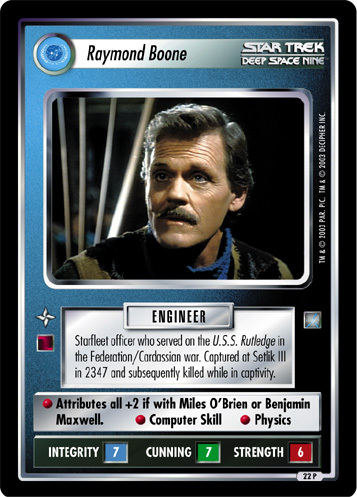 Cardassian surgically altered to resemble retired Starfleet officer Raymond Boone. Spied on the Federation. Attempted to frame Miles O'Brien.